Scott Stapp is back after having time to deal with the things that happened last year. Scott is back to doing what he loves music. He continues to support his 2013 solo album Proof of life. Scott Stapp has no plans on slowing down as he plans on keeping busy this year. 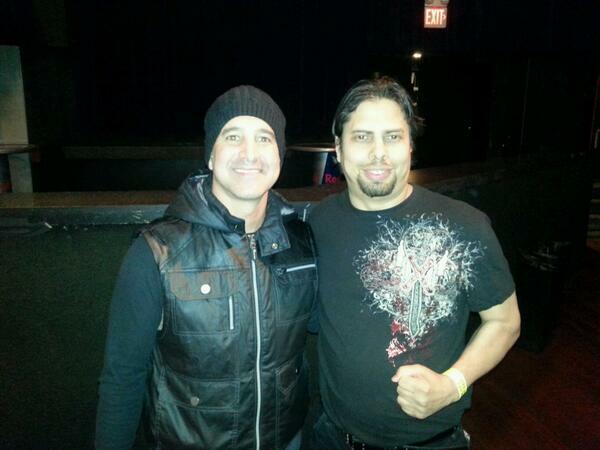 I was able to catch up with Scott Stapp to talk about proof of life and his future plans. Angel Alamo: It’s been over a year since Proof of life album was released. How are your feelings about the record now. It was one of your most personal and best albums? Scott Stapp: “Proof of Life” was definitely one of my most personal albums. It really relates to my life and it allowed me to explore the freedom I have now after all the demons that had been holding me hostage for so long. It puts my struggle and journey into music. AA: What feedback have you gotten from the fans about proof of life? SS: The feedback from the fans has been inspiring. Whenever I am able to interact with the fans they tell me how it helped them through dark times and allowed them to deal with the conflict within. It is comforting to many who have gone through the same thing to know they are not alone. AA: Any songs from Proof of life stand out more now than when the record came out? SS: The song “Proof of Life” definitely stands out now. It perfectly expresses what I was going through and how I was able to come out on the other side. AA: What are your plans for the future. Can fans expect a new solo album? SS: I have a few projects that I am working on. By the end of 2016 the fans will definitely be hearing some new music. AA: You played South Africa for the first time in your career. How was it performing in South Africa? SS: It was a great experience! I had never been to South Africa so it was great to meet a new group of fans. AA: After not being on stage for 18 months how did it feel being back on stage? What is the song weathered about? SS: It was exhilarating! I love being on stage performing and getting the chance to connect with the fans. As for the song “weathered,” with all my music, the lyrics have a strong impact on the listener and everyone takes it in their own way. Since it is so different for every person I like to keep my thoughts to myself. AA: As a songwriter has your approach to songwriting changed since your first album? SS: There has been a clear evolution of my music and it corresponds with my life and where my journey has taken me. I started in the industry at 18 and now, being in my early 40’s, my perspective has changed and you can see the shift in my songwriting. The music I have created is all a reflection on where I have been in in my life – I write about what I know.